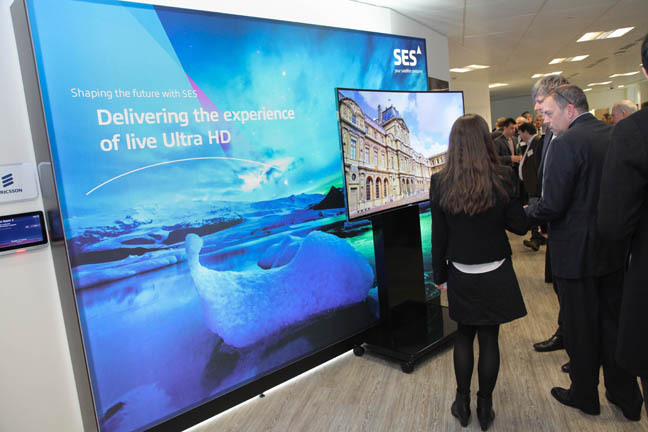 Breaking Fad The European TV industry’s uneasy shift to Ultra HD came under the spotlight at an industry confab organised by Astra satellite owner SES last week. Although after listening to TV manufacturers, researchers, market analysts and broadcasters pontificate on standards, or rather the lack of them, you could be forgiven for thinking the event would make more sense branded SOS. Admittedly the tone was more up than down, but it was a close-run thing. Those predicting an Ultra HD industry love-in would have left disappointed. The good news is that the UK now has its own dedicated 4K test channel, broadcasting via Astra 2E at 28.2 East. The commencement of services was confirmed by SES MD Mike Chandler. It joins two other 4K test channels which SES has been running at 19.2 E. The channel is broadcasting to the UHD-1 Phase 1 specification. Understandably, Chandler was keen to position satellite as the best method for delivering next gen TV, rather than that pesky Internet: “Satellite is the ideal way to distribute 4K, and allows it to be easily distributed to million of homes worldwide. We will drive it just as we did with HD,” he said. The keynote was delivered by Andrew Neil. 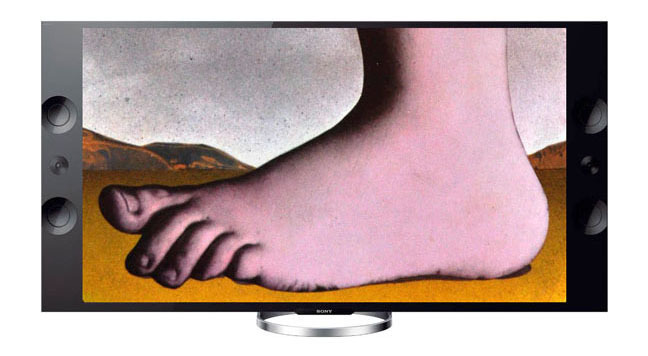 An early architect of Sky in the UK, the veteran broadcaster was ebullient about Ultra HD. He proclaimed that its arrival as “the most significant advance since colour” and “a major technological breakthrough that will have huge consequences in the market place.” He also declared that 4K was “the final nail in the coffin of the walking dead know as 3D.” While I agree pretty much with all of Neil’s comments, I suspect 3D will yet return to nuzzle us with fetid breath. Market analyst GfK took the stage to reveal that despite a lack of native content and standards, sales of 4K UHD TVs in the UK are expected to top one million this year for the first time, up from 200,000 sold during 2014. Next page: New Sky thinking?